Here are just a few of many agriculture projects Teton Conservation District has been involved with over the years. Wheel line irrigation visible in foreground, later replaced by pivot irrigation. 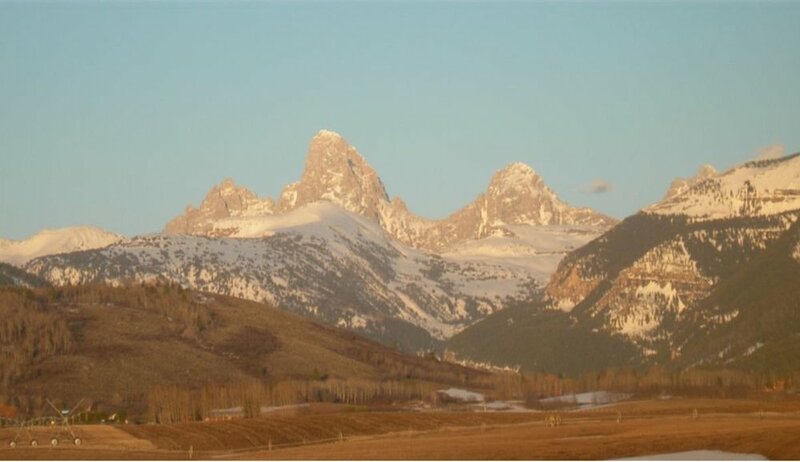 Through a cost-share grant, Teton Conservation District supported the C.L. Wilson farm in Alta in making improvements to their irrigation system. Portions of the property historically used flood irrigation, and then a combination of wheel lines and a labor-intensive sprinkler irrigation system that pumped water from an irrigation ditch fed by the Teton Creek. In 2016, the District supported the farm’s installation of a center pivot system serving 80 acres of the 320-acre farm, as well as replacing water delivery pipes. The project helped the Wilson farm increase crop production (currently focused on hay, grain, some fruit, and some livestock. ), reduce labor costs, minimize of soil erosion, improve weed control, and reduce gross water consumption from the Teton Creek. Improvements made to fencing and cattle guard in the Munger Mountain / Fall Creek area. The purpose of this project was to implement range infrastructure improvements on a special use permit allotment within the Bridger-Teton National Forest. Teton Conservation District worked with the permit holder, the Forest Service, and Fish Creek Excavation to assess and implement the improvements to the allotment. The trap under the cattle guard being cleaned out and rebuilt. The project included digging out traps on two cattle guards, making weld repairs to the cattle guard grates, rebuilding adjacent fencing, and hanging new swinging gates. Bridger-Teton National Forest reviewed and approved the project, and provided materials. Teton Conservation District provided funding for Fish Creek Excavation to operate a backhoe, and provide a service truck and welder. The District and the permit holder provided labor to support the project. Improving cattle guards allowed for proper cattle containment and the rotational grazing plan throughout the allotment. Traffic flow for public motorized vehicles was improved. The Poodle Ranch/4 Lazy F Ranch agricultural project involved the repair of a deteriorated and collapsed headgate. The headgate is the key control of irrigation water on the ranch, making its repair pivotal to the continued productivity of the land. 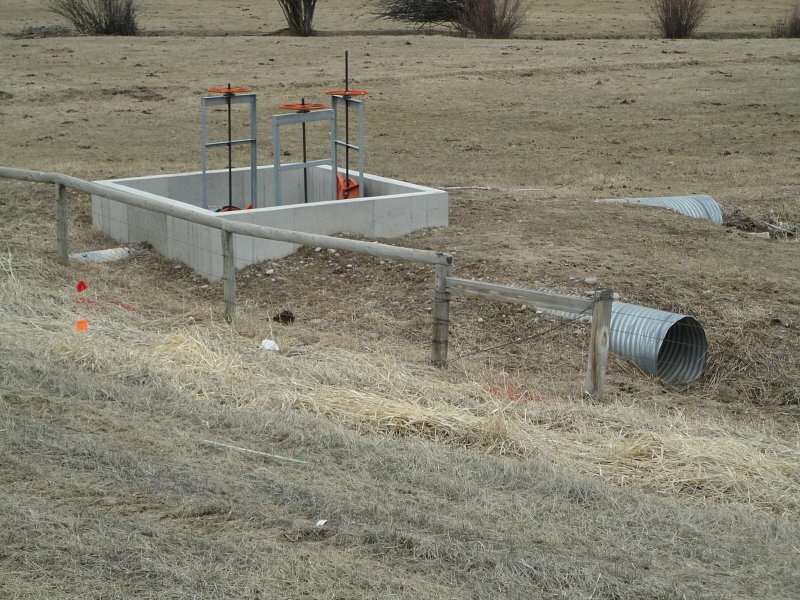 Teton Conservation District, the Natural Resources Conservation Service, and staff at the Poodle Ranch/4 Lazy E Ranch collaborated to reconstruct the headgate. Machinery and manpower were provided by the Ranch, engineering expertise and funding from Natural Resources Conservation Service, and funding for the purchase of headgates, engineering, concrete, and machinery from Teton Conservation District. Efficient delivery of water resources to the field ditches and farm fields. Capacity to continue surface water irrigation of several hundred acres under conservation easement with the Jackson Hole Land Trust. Multi-directional headgate replacement, as seen from Highway 22.